2017 was a dark year. We shed many tears and hurt our hearts in anger over the state of the nation, and it’s effect on the world. We actively engaged in more therapy and escapism than we have in the past and continued to create and live amid all of the suffering of our fellow Americans. This note is going to focus mainly on the joys of our year but everything below needs to be prefaced by saying we believe all people are equal, kindness is important, love wins, black lives matter, immigrants and refugees are welcome, disabilities are respected, women are in charge of their bodies, people and planet are valued over profit, and diversity is celebrated. This year held a lot of interwoven travel, starting with Venetia heading to the East Coast for Arisia in Boston while Lee headed south down the West Coast for a skeptics convention, LogiCal-LA. Venetia joined forces with Lotus in rampaging through the city having all the fun. She got to speak on a panel about one of her favorite writers, Chuck Tingle, and hang out with all our dear Arisia friends. Lee so enjoyed spending time with Celestia at the show, vending Small Gods, and meeting so many wonderful new people. After the show, Lee stayed with Bino, hung out with Shreya, was visited by Priscilla and Marcy. Before he left, he updated a sacred pamphlet solemnly passed on to him some 35 years ago while he was dressed as a clown (a long story) to share at the convention. As well as that New Yorker cartoon he’d always wanted to draw. Venetia’s earnest “Have you heard the good news about God?… Zilla?” as she passed out pamphlets might have worried people scarred by previous encounters with religious fanatics. The Portland Women’s March was a huge success and we were glad to add our bodies to the mass of protestors. It was raining but everyone was in good spirits and we ended up walking almost all the way home because the buses were so full after the rally. We had the good fortune to share our house briefly with the talented Jay Edidin as he moved from Portland to New York. We have long been fans of his work; despite having little interest in comics, Venetia adores the podcast Jay and Miles X-Plain the X-Men and her Cyclops “Resist” pin has been a great comfort to her since Jay gifted it to her. Jay’s fiancee Tea sent us the most amazing set of postcards that kept us occupied for hours: until the very last moment in fact that Jay climbed into the car to leave for the airport and Venetia had to run after him to ask for a clue to solve the message. March brought some interesting mass sales to Portland. First, the Grimm Liquidation Event. Grimm had been filmed in Portland for many years and was finally ending so there was a weekend long sale held in a giant warehouse in NW Portland. The first day was rainy and we got there a few hours early… but apparently not early enough. The line wrapped around the entire block and then meandered down another block. About 30 min after the sale officially began, a very nice lady began the long trek down the line warning people that it might be another five hours or so before they got in, and that it was more likely that they would close the entire line down because only a certain amount of people were allowed in the warehouse at a time and they were at full capacity. We decided we were wet enough (it was pouring rain and even with umbrellas it was impossible to avoid getting damp and cold) that after a brief visit with Dan Garrison, we hit the road. When we returned again on Monday, the wait was a mere hour. It turns out that they had so much stuff that there were new truckloads of items coming into the warehouse every day for the better part of a week – interesting props just kept coming. We got a styrofoam skull just because and Venetia found a whole stash of clothing that fits her, a handmade skirt and a set of colorful tank tops. 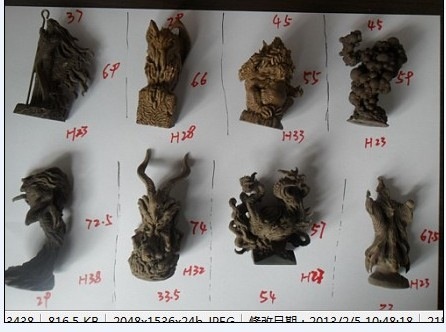 Then later in the month was the Ip Man Estate Sale. Venetia’s friend Phyro is a huge fan of Ip Man (who had trained the late great Bruce Lee), and so we went to see what kinds of gorgeous things were there. The shop was full of Asian men and women in business suits who looked like they knew exactly what they were doing. We were aimless dilettantes by contrast, especially when we saw some of the price tags or better yet, didn’t see a price tag and asked the floor manager for a price. He said he would get back to us and we gave him our contact info but as he never actually got back to us with a price, I’m guessing he thought it was out of our budget. He was probably right. At the beginning of April, after a costume-filled Wondercon culminating in the biggest haul of pin-up dresses for the ladies, Venetia, Lee, Janelle, Hillarie and Priscilla all went across the street to Disneyland. Lee hadn’t been to this cluster of tourist trappings since the 1984 World Science Fiction Convention, and was astonished at Anaheim’s growth. It was even more surprising to see Portland poster artist Brian Linss at Disneyland as the day began! It was Venetia’s first visit to Disneyland (her first visit to Disneyworld was when she was 21) and she was enchanted. It was a beautiful sunny day and there was a special food festival going on with food carts of (extra delicious) themed foods. We got to see one of the rarer Disney princesses, Pocahontas. She was stoic when Lee suggested that the giddy ladies “say something naughty” as he took our picture. We went on the Haunted Mansion ride first before the park became too busy. The fantastic Cars ride was way better than we expected. Ariel’s ride was adorable but unmemorable. Twirly high-up in the air ride. Roller coast was super intense and amazing. Didn’t get wet on the ride you get wet on. Mr. Toad’s Wild Ride was just as astonishingly bizarre and seemingly-un-Disney up as Lee promised. The Enchanted Tiki Room was much less palatable than either of us expected and – we hope – probably not long for this world considering the success of Moana, where Maui and company are treated with respect and at nearly 100% less colonial exoticism. And oh – the astonishing racial and ethnic slurs in the dancing mechanical birds section? Good heavens! The park’s arrangement with the Dole company must be a fascinating one, and Venetia very much appreciated the Dole Whip. If the Enchanted Tiki Room does change, we’ll be fascinated to see the PR spin that Dole will put on it many decades of colonial rule…. Hillarie bought us all group pins and Lee wears his little mermaid pin everywhere. Up the road in Simi Valley, we went out to dinner with Jason and Kemi and they introduced us to a wonderful concept: all you can eat sushi! There were three courses and Venetia was VERY disappointed not to be able to make it to the third course. She would be happy to try again any time. We spent a few days with Paul Komoda cleaning up his apartment and planning his website. We had fantastic IKEA adventures with him and even more fantastic adventures with Priscilla and the best gluten-free churros of Los Angeles. It turns out Weird Al also likes that particular taco stand and Priscilla got the best selfie with him. We returned home to host our annual Bellydancer convention, this time two new ladies from Canada who had been recommended through the Winnipeg Bellydance community. Lee took them to our new favorite chocolate shop in town: Missionary Chocolates. You may have tasted their chocolate truffles if you’ve spent time with us this year. We worked with Melissa over the summer to start a newsletter and remodel the shop. Venetia got chai chocolate truffles for her birthday. Midway through the month, Venetia drove down to Eugene for the Western States Folklore Society which was being hosted by her graduate professor, Daniel Wojick. Venetia brought chocolate and got to catch up with old friends from graduate school and listen to some fascinating and interesting presentations. She hopes to crash the academic programming again in the future and next time wants to bring more science fiction peeps. Lee was called in for jury duty this year and though not empaneled this time, the timing was a little stressful as he had been preparing for well over a year for an emotional presentation at the Mystery Box only to have jury duty scheduled on the same day across town. Happily, the folks at the courthouse were very kind, and Lee’s talk seemed to go over well with the assembled audience. One of Venetia’s goals this year was to participate in social and government programs more – and thus, jury service. Unfortunately for her, she had the shortest jury duty ever – about 10 min while a few names were called and then everyone else in the room was told to go home. Another highlight of her birthday month was sharing it with birthday friend and all-around fabulous human Tempest Bradford. They went to the Japanese Garden together and had tea and it was absolutely lovely. As the earth warmed up and the garden started growing in earnest we did some reworking of the back yard, we are slowly eliminating the grass and allowing the flowers and raspberries to spread. With the help of an expert gardener, Jackie, we formalized the growing patterns of the raspberries so that Venetia can walk between the rows to pick berries in the summer. This year saw the final completion/publication of Starstruck: Old Proldiers Never Die. Elaine and Michael outdid themselves and the book shows their excellence on every page. We both flew out to Arizona for Phoenix Comic Con. While Venetia stuck close by the ladies of Badali Jewelry (with whom she worked the convention itself), Lee stayed with Emma and Murray – epic storytellers and dear friends from Ambercon. And despite a traumatic start to the convention with the arrest of a planned terrorist attack, we had a great time with friends and authors. Lee drove down to Tuscon to meet up with friends and meet the brilliant family of Kellner, who he’d worked with starting last year at M.I.T. and whose family compound proved a marvelously relaxing vacation destination. Kellner’s younger sister had been a long-time docent at the Arizona-Sonora Desert Museum, and knowing Lee’s history as a Docent at the Smithsonian, she was kind enough to give him a tour. Tuscon was as lovely as seemed Phoenix seemed… well, unpleasant and untenable. And after the convention, for Lee’s birthday, we drove with Emma and Murray up to Flagstaff by way of Sedona, and saw many stunning mountains. In June we had our annual lunch with the brilliant artist and leading talent of the McMenamin’s properties, Lyle Hehn. It was great to catch up and talk about art and life and inspirations. June was the month of yard sales, both the Tiny Circus House and the Laurelhurst Yardsale were this month. Venetia made out like a bandit getting many of Marysia’s clothes, and while we didn’t need anything from Laurelhurst this year, we still had lots of fun wandering through the beloved neighborhood on a beautiful morning enjoying the architecture and the people. July and August are mostly summarized in the tale of Our Baltic Adventure: after San Diego Comic Con we flew to Europe for the Writing Excuses Cruise around the Baltics, were awed by the Art Nouveau architecture in Riga, and had a fun and successful Worldcon in Helsinki (where Lee’s body of work won him a very nice Best in Show ribbon, and where he was interviewed for Finnish National Radio)and a glorious five hours in the Blue Lagoon before heading back to the states. Venetia continued on to Gencon and then Dragoncon while Lee hosted many guests back home. Gencon was definitely Venetia’s favorite convention of the year: she saw the premiere of Lee’s new game Cursed Court and met Mercedes Lackey for the first time. Lee viewed the eclipse from our porch with neighbors and our dear friend Dan Cottle but Venetia had to make due with the reenactment of the earth traveling around the sun via the Southwest airlines crew, as well as a rendition of Total Eclipse of the Heart by a man and his dog. In September our bellydancer super star Accalia came back to Portland from Winnipeg for another Rachel Brice workshop and a promise to return again. Although we didn’t attend Rose City Comic Con we had a great time meeting up with many people who did. Venetia has now introduced six people to the joy of float tanks (something she’d first encountered in Iceland) and hopes to bring even more people to that party in the coming year. We headed down to California in October for Lee’s first Toastmaster appearance at Convolution (more Toasting to follow with Albuquerque’s Bubonicon in 2018). We stayed with fellow writer Chadwick and his wife Tanya from the Writing Excuses cruise and very much hope to have more travel adventures with them as they are delightful company. San Francisco was a great adventure, a treasure hunt even – especially as Lee researches a novel he wants to write in the new year. We walked up and down the streets following the plaques for the Barbary Coast. Along the way we encountered a door stoop full of Heritage Auction catalogs (please ask us about them if you are at our house, we’ve got some really entertaining things to show you!). Though the Barbary Coast was once the “wickedest place in the West”, today the gentrification is so extreme that even this pure-profit Auction House was relocating, divesting itself of deluxe catalogues from auctions new on old. Among work and travel, Lee still found time to join in for the Month of Fear. Each year, the Months of Love and Fear allow Lee to Art Direct himself, and do work that would otherwise not be done (or later used in collections like editor Stephen Jones’ The Art of Horror’. We very much enjoyed our visit with the Joneses in Helsinki). Our sister-in-law Erin threw possibly the best party Venetia has ever attended: a birthday party for Lee’s mother Mary celebrated with a basket full of kittens. The woman is pure magic. Lee’s Ambercon adventures are chronicled here. He also went to our local Orycon in November where he was absolutely enchanted to meet Sarah Clemens and her husband. We knew her work from years of convention-going, but had no idea about the stories she could tell. We had grand house full of people for Thanksgiving which is exactly how we love it. Janelle and Murray and Emma were all staying with us over Thanksgiving itself and went to a Melissa & Lee’s house for a stupendous Thanksgiving spread. Then Jaym and Dylan came down to throw us a second feast with the most tender delicious turkey we’ve ever had. And Murray put a wonderful end to the story he’s been telling at Ambercon for the last seven years. At the end of the month Venetia applied for and was hired as a Powell’s City of Books seasonal employee. She’s been working there all of December, first as a cashier but now as a bookseller in the Gold room (the best room in Powell’s as it is where all the sci-fi fantasy books are.) For what is traditionally his slow season, Lee has had plenty of work to keep him busy. And lots of interesting podcasts to listen to while he works (see below). We hung up Christmas lights on porch (Lee barely kept Venetia from putting them up before Halloween) but due to an unfortunate bout of the flu did not get a tiny Christmas tree this year. However as the snow comes down, we are warm, well-fed, and ready for all the work to be done in the new year. We are also talking seriously about another Writing Excuses Cruise in September. And finally, huge thank yous to Abie, the amazing and talented model for our Christmas card this year and Brittany who took the original reference photos at Jonathan Tweet‘s house. Kickstarter – What does it all mean? 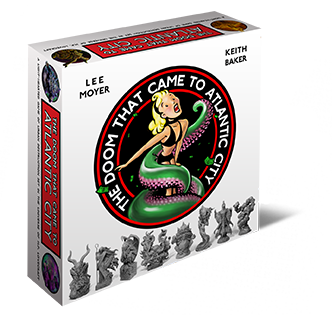 Ever since the conclusion (actually long before the conclusion), of our recent Kickstarter campaign for The Doom That Came to Atlantic City, I’ve been receiving congratulations of one type and another. When I seemed momentarily startled by their kindness, people asked me why. And when I came out of my fugue state, I told them the simple truth: “Mistakes were made”. With a little prompting, I went on to explain some of these mistakes. And I told all my friends to please let me know before they began their own Kickstarter campaigns, to help them better prevent the mistakes we made. But I soon realized that rather than repeat myself over and over, I should simply write a white paper on the subject, so that I could more easily disseminate the facts without forgetting crucial information with each repetition. Before I get to practical matters however, there is no shortage of more diffuse and impractical thoughts to get out of the way from my month-long addiction to Kickstarter. 1. Kickstarter is the best thing ever. 2. It’s Kickstarter’s world. We just live in it. Kickstarter is an amazing font of crowd-sourced capital, yes. But where does that crowd come from? Our first supporters had already supported between 2 and 178 other Kickstarter projects. In short, they were already “of the body”. They knew and loved Kickstarter for allowing them to help create products they wanted, for helping to change the playing field, for telling them about projects they would never otherwise have even heard of, and perhaps most important of all, for changing, deepening, and strengthening the relationship between Creator and consumer. They understood the paradigm and paid attention to the site’s many categories and recommendations. As our month went on and we got stellar press, Kickstarter habitués gave way to people who’d never used, or in some cases even heard of, Kickstarter. I don’t know what the workers at Kickstarter Central call these wonderful people – Newcomers? Virgins? Noobs? Lambs to the slaughter? But this was the most surprising point to me. Not only were we using Kickstarter to fund this game project that no game publisher would touch, Kickstarter was using us to bring them more users. And the larger the user base grows, the better for everyone involved. Especially, Kickstarter shareholders. Because Kickstarter makes its money on the success of projects, it is deeply incentivized to assist clever campaigns. As a result, we were featured on Kickstarter in a couple places: as Portland, Oregon’s top campaign for most of the month, and as a top pick in the Games category. In fact, during our tenure in Kickstarter’s Staff Picks, they restructured the “Games” category to include both “Board & Card Games” and “Video Games”, ensuring Doom’s status as a top pick for an even longer period of time. I had initially guessed that our project was getting love from Kickstarter because it was graphic, we presented it well enough, and that the resumes of the 3 creators were pretty impressive. That may be true. But were we also a likelier candidate for success by virtue of the creators’ pre-existing social networks? Was our old-school board game meets HP Lovecraft vibe more likely to ensnare Kickstarter Virgins? I don’t know, but what I do know is by the end, few if any of our new backers had supported even 1 other Kickstarter project, and that may have been the really important part for Kickstarter. 3. Kickstarter is the best PR other people’s money can buy. I had never heard of the Pebble watch until masses of our backers proved to be supporting their Kickstarter. The word of mouth and feeling of involvement a strong Kickstarter campaign can generate is phenomenal, and all without traditional Venture Capital or Angel Investors to pay off! It’s a funding platform that sells you rather than one that buys you. Sure, you’re giving them some of your supporters in perpetuity, but isn’t that transaction more agreeable than selling them a whopping percent of your company? And besides, each backer can use the wonders of the Internet to get you more backers! To get Kickstarter more! To get your next project more! To… well, looking forward, things get mighty interesting. Does the current boom go bust as all the cool kids exceed their Kickstarter budgets and the whole thing shuts down? Or do projects get better and better the way evolution should work? This is an interesting point to me as I’ve watched actual capitalism wither and die in some parts of the economy. Yes, there’s been no shortage of shoddy product on Kickstarter – projects born of pity or in reaction to the dominant paradigms, et al. – but will such campaigns continue? Will they be allowed to? Will the marketplace of ideas become more discerning, and the bar for projects that Kickstarter will even approve be set much much higher? Will Kickstarter self-censor strongly and effectively? What will make them leverage their power more specifically, and control access more tightly? Will some projects be so successful that Kickstarter finds itself paying for their virgins? We can’t know at this juncture, but it’ll be fascinating to find out. 4. All the cool kids are doing it. As 2012 dawned, I had never done a Kickstarter project. By the end of the year, I’ll have done half a dozen. A few with young, largely untested talent, but the vast majority with award-winning authors like M. K. Hobson, sculptors like Paul Komoda, and top-tier game designers like Keith Baker, Rob Heinsoo and Jonathan Tweet. And that’s just a hint of what I’m doing. Most of the Creators I know are currently working on some level of campaign (thus the white paper to follow)! 5. Creatives and Corporations – why can’t they all just get along? I worried a little before Doom that ours would be the project with which Kickstarter would officially jump the shark. But that was apparently just nerves. It had, however, happened once before. The wonderful Z-Man Games (publishers of Pandemic, see above) purchased Doom, but then Z-Man was sold to a European game company right before our publication date, and the new owners didn’t want our game. And neither did anyone else. How is that working out for those publishers now I wonder? When we took in 122k in a month, an old colleague suggested that, “The market was clearly ready for your game.” Maybe so, but the game companies were not. At all. The Creators’ willingness to market their game, the public’s desire to see Lovecraftian Gods trash Atlantic City, the pedigree of the creative team (games, novels, films, posters): none of that mattered one whit. They didn’t see a return that showed any kind of clear profit for them, and they passed. In the decline of the working and creative class that we’ve all weathered these last 30 years, major monopolist corporations have intentionally made Creators the lowest people on their totem poles. The odious work-for-hire contracts, the hierarchical apple-polishing, the constant cancellations of green-lit projects to protect their jobs at the expense of others and to “bolster” their bottom line: it’s all been designed to maximize their profits and strip Creators of their chance for licensure, and the passive streams of income Creators might otherwise have enjoyed. There are still plenty of artists who need corporate paychecks, but many artists are viewing this as a long-overdue sea change. In Portland, many people suggest that the only way to move up the ranks at Nike is to go to Adidas. And vice versa. In New York, people leave DC for Marvel. And vice versa. Does Kickstarter mean that Creatives will be getting more respect from the big players now that they can set their own terms elsewhere? Or will the big companies simply ignore them when they ask for more respect? As exciting as Kickstarter is now, what will it be in the future? Will it morph over time like the massive powerhouse whose informal corporate motto was “Don’t be evil”? We shall see. 6. Make no mistake. This is an addiction. The shots of dopamine that accompany every new dollar the Refresh button reveals are the most obvious example. But the fact is, we Creators are on the line here. Every mistake or miscue is now on us. And that’s not the sort of responsibility that leads one to sleep like a baby. Kickstarter is not for the faint of heart. Can you imagine working a month or more (more really, even for a “30 day” campaign) only to have that campaign stall and fail? Many of the best and brightest Creators have already experienced that very thing. Sobering. Kickstarter will take every ounce of energy you can give it and want more. Believe it. Every mistake we made weighs on me, and I suspect it’s the same for many others. So, with this prologue, I hope you’ll enjoy (and be informed by) the paper to come. I haven’t written a word here since the Kickstarter campaign for The Doom That Came to Atlantic City went live. There are plenty of reasons for that, and I strongly advise anyone I know who is planning a Kickstarter of their own to contact me before they set out on beautiful but mysterious the waters of crowdsourcing! It’s obviously an amazing venue that can yield spectacular results, but it might just eat your life in the process. We were successful, and I want to thank everyone who helped spread the word! It was always a delight to see the names of my friends and colleagues join the list of backers. And watching that list grow was like watching the beans your Mom said were worthless (Don’t have a cow, Mom!) sprout and grow and reach their green tendrils up to the heavens. The wonderful Nadya at Coilhouse led the way, and io9, Wired’s GeekDad, Quarter to Three, The Gaming Gang, Geek.com and Nerd Approved followed thereafter. BoardGameGeek.com was also helpful, even when their members couldn’t wrap their heads around the idea that we’d come not to praise Monopoly, but to bury it. With their help, we not only have the bare-bones game, we got to add several features we never thought we could afford (Tomes, Hotels, Gate markers, custom dice, et al.) 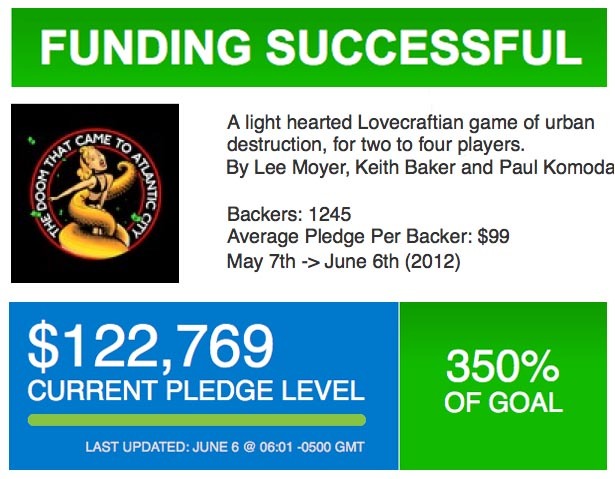 that the wild success of the Kickstarter campaign made possible. There’s a lot more work for me to do, but it’s going to be amazing!